Bear Proof Indestructible Bird Feeder! BEARS A PROBLEM? 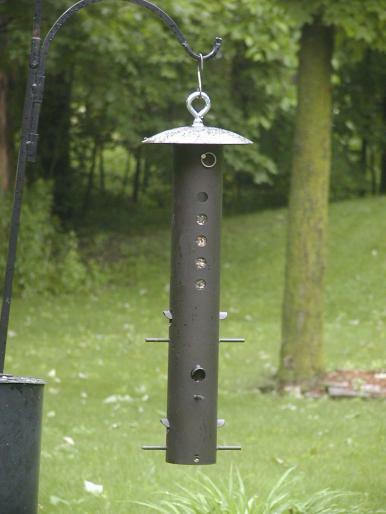 Don't let bears or raccoons destroy another bird feeder! This heavy-duty tube feeder is built to last, guaranteed! Outer steel construction with a clear tube insert, it comes with 5 seed-viewing windows so you can see how much seed is left and know when it is time to refill. A heavy-duty pin secures the top and hanger.